This lovely quilt is taught in 6 sessions to make this a manageable project. A new technique is taught each month Also included is a one hour session with the instructor to help pick out fabrics. What do you think? Are you ready to take the challenge of making this stunning quilt? Sonja will be with you step-by-step during five all-day class sessions held over six months. Basic Operations - All Machines OTHER THAN B4 thru B8 Machines. Please call the store (919 782 2945) or stop by the store to register for this class. This class will teach you how to make a quilt from start to finish, including straight-line machine quilting and finishing the quilt with a binding. This is a true beginner's class. This is an amazing bag that everyone should have! It has comfortable padded, adjustable and detachable carrying straps; along with exterior zippered and slip pockets. We will cover zipper installation, bound seams, and you will learn how to sew Soft and Stable. Grab a jelly roll or two and some background fabric and mark your calendars to join Amy O?Donnell for this fun all day class. This is a variation of a traditional Irish Chain quilt that uses strip piecing to create a stunning quilt. Whether you choose batik or traditional fabrics, or a combination, this quilt will be uniquely yours. New to sewing? Come join the fun one Friday evening each month. This is set up for you and a friend, or mom-daughter, grandmother-granddaughter or maybe Dad and son. Just the two of you sit side by side learning to use the sewing machine while creating some neat projects. 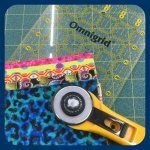 Use rulers to create beautiful quilting easily on either your domestic (Bernina) or longarm machine. 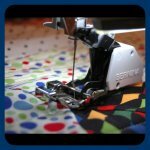 You will learn a very popular quilting technique of all over (edge to edge) quilting with your embroidery machine. 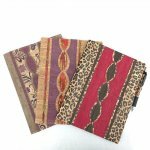 Join Amy O"Donnell for this fun class where we will make a cork notebook cover for a composition sized notebook. If you have an embroidery machine, you will LOVE participating in our HoopSisters Fleur De Lis EmbroidaBlock of the month! In this five-month program you will make this stunning quilted, pieced and decoratively stitched masterpiece. This is an EXCELLENT way to get to know your embroidery machine and create a beautiful quilt/wall-hanging. You can choose from a 5" to 9" block size . Finished size between 40″ x 40″ to 70″ x 70″. Add on the optional border to make it even bigger. All embroidery machines welcome. This is a lecture/demo class. *Optional Border CD available for $69. Are you new to embroidery and want to learn fun techniques? Our monthly Kimberbell Club is the perfect place for you. Each month you will complete a different embroidery or in-the-hoop project. 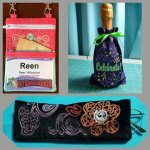 Kimberbell designs are clever, whimsical and a fun way to learn different embroidery techniques. 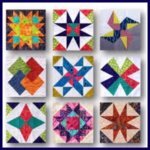 Learn how to successfully quilt your next quilt as you learn a few basic quilting techniques in this 3 hour hands-on class. Take advantage of our Early Bird enrollment special. Price goes up to $49 April 2. Join us for a hands-on, technique-packed workshop featuring loads of how to and practical discussion for utilizing the Marabu line of textile enhancing products. We will incorporate paints (Textil and TextilPlus), sprays (Fashion Spray and Fashion Spray Shimmer), and Liners (Fashion Liners) to create one-of-a-kind decorative fabrics from plain white and black cotton. Ok! A number of you asked for a return of this class, that works with a traditional pattern and contemporary color arrangements. Sonja leads the Gatherings. The Daytime Gathering participant will select quilts from the book: "Extraordinary Log Cabin Quilts" by Judy Martin..
Sonja leads the Gatherings. The Evening participant will choose quilt patterns selected from: "modern neutrals, A fresh look at Neutral Quilt Patterns" by Amy Ellis. Basic Operations - B4 thru B8 Machines. Please call the store (919 782 2945) or stop by the store to register for this class. Embroidery Mastery for 790/880 Embroidery Machine. Please stop by the store or call the store (919-782-2945) to register. All BERNINA Embroidery B5 thru B8 Machines. Please call the store (919 782 2945) or stop by the store to register for this class. This class is for owners that have started their Machine Mastering classes prior to January 2018. Please call the store (919 782 2945) or stop by the store to register for this class. Stitch Fun and Memory - For OTHER THAN B4 thru B8 Machines. Please call the store (919 782 2945) or stop by the store to register for this class. Our Annual Block of the Month. Join us every month for show-and-tell and an original program. We want to spark your creativity! Learn a new technique, see the secrets to successful projects. Every month is a new topic. Sewers of all kinds and owners of all brands are welcome! This is a lecture/demo event. Come in and sew on your own projects. The classroom will be set up for you with tables, cutting matts, irons and ironing boards, etc. There will be no formal instruction but Sue will be there to assist if you need help. Sign up for each Sunday individually. Everyone is talking about Millefiori or La Passacaglia quilts. Let Shirley demystify and share her insights and experience as you see how the pieces fit together with different variations. Learn the basics of straight-line quilting using the pre-printed "Skillbuilder Sampler" panel. You will be working with a "walking foot" to practice grid, cross hatch, channel and stitch in the ditch quilting. You will also learn how to maneuver larger projects.